It’s been more than a month since I finished. I’ve put off writing and going through my photos for a long time. Then when I finally did, I realised why. Man, I miss it so, so much. May I tell you how it ended? The last four days of walking were less than exciting. The Coastal Path in Carmarthenshire spends a lot of time away from the coast, following estuaries inland in search of bridges, often on roads, to then make a long trip back to the coast only to do it all again the next day. But that’s something I became quite grateful for. Finishing the trip on a high like the Pembrokeshire Coastal Path would’ve made for such a comedown. But four days of faffy and convoluted walking got me to a place where I was just ready to finish; ready to be done. That’s not to say it’s not lovely. But it’s not the walking I’d race to get back to. You may have gathered that people’s kindnesses defined this trip for me, right up to the end. Even on my very last night I got chatting to a lovely woman outside her home, and was invited in for some tea and food. I was offered a place to sleep too, but wanted to be outside for my final night. I camped wild on the foreshore at Ferryside. 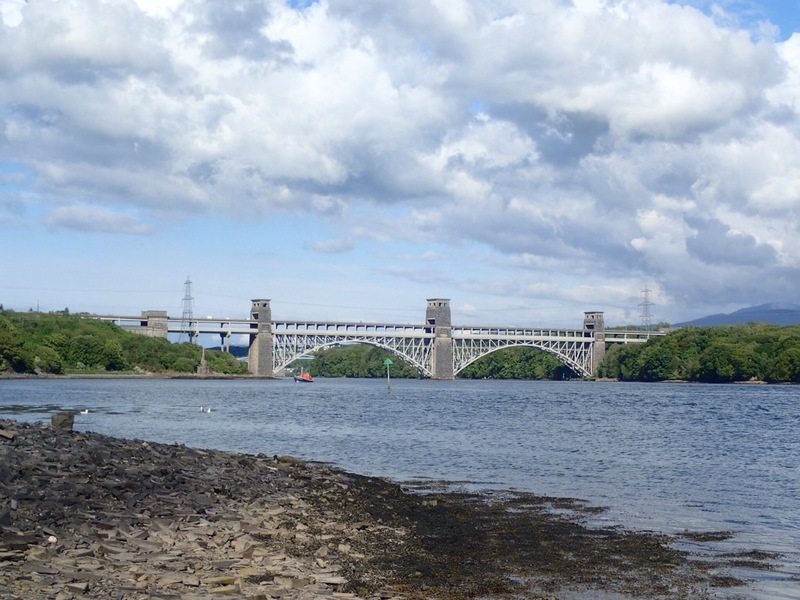 Half a mile across the water was Llansteffan, where I’d started my 17 ½ mile walk that day. There was a lot of looking out over the water feeling sentimental. I don’t think it needs saying how precious that was to me. Before leaving Ferryside the next morning I was interviewed for a Welsh language television programme. Which is hilarious. I was asked to contemplatively look over the water, which is how I’d spent most of the previous evening, so I nailed that part. Interviewing in Welsh wasn’t quite so easy, with little more than a faded GCSE-level knowledge. But after this trip, I’m so inspired to grab hold of my country’s language. Speaking Welsh shouldn’t be about what school you went to or who your parents are. It’s part of the inheritance of living here. Taking the time to really know my country makes it feel so much more like it belongs to me. Maybe it’s that in taking the time to get to know it, and rely on it, Wales has become more ‘mine’. But maybe it’s that I know the one who made it, and I feel more His. Some friends joined me at Ferryside, and I was glad of the company. A few hours of fields and roads got us to Kidwelly, where some more family friends joined us. It was good to be able to talk and share some stories and thoughts. And to have people around for the bursts of excitement along the vast expanse of Cefn Sidan beach, as it finally felt like I was walking home. I was left to do the few miles to Burry Port on my own. I wanted some time to end the journey with God, and thank him for it. I’m not sure what emotion filled that time, but I was certainly full of it. The Gower could been seen so clearly, every detail brought out by the sun and then reflecting off the sea. It looked so close, like I could touch the sand I’d walked on three months before. Then rounding the end of the beach, Burry Port comes into view, and the beach-side flats at Llanelli. Slightly behind are the city-of-Swansea hills, and more hills beyond. All rendered in perfect detail in the evening light. All seeming so close. A whole country in walking distance. Though one of my favourite things about that view, was that I only saw it because I’d missed a turning. I’m the only person I know who could walk around Wales, and then get lost on her home turf. Thankfully, because of the tides I could still get to Burry Port without turning around. I just had to paddle a bit of water and confuse the crowd that had gathered by arriving barefoot and from the wrong direction. I knew I was meeting a few people at Burry Port. I could not have anticipated the hero’s welcome I found waiting for me. We all walked the final few miles together. Which I felt was so appropriate. So many people had supported, encouraged, provided and prayed for me in those three months that it wasn’t my achievement alone. We walked the familiar length of my running route. And finally came to the spot just after the little footbridge, where I had stepped onto the Wales Coastal Path twelve weeks and one day before. I had come full circle, a thousand miles to arrive back where I’d started. There’s not many things that can give you a feeling like that. That’s the point where there were tears. We went home, we celebrated, we ate good food, and I was sprayed with champagne. A curtain started to close over the last three months of my life in which I did something I never expected. Even now, it feels like someone else did it and I just know a lot about how it went. That’s why it’s taken so long to write again. I know I’ll hold onto this for the rest of my life. I’m sure there are some things about it that I won’t understand for years to come. The prayers prayed over the ground, the hours singing out God’s sovereignty over cliffs and over rocks and declaring that God’s not finished with this nation; I may not see the fruit of those things, but I leave them there in great faith. I am tougher than I thought, my God is good and people are kind. And any experience that can teach you one or all of those things is a worthwhile one. I’d love to share more of my stories. 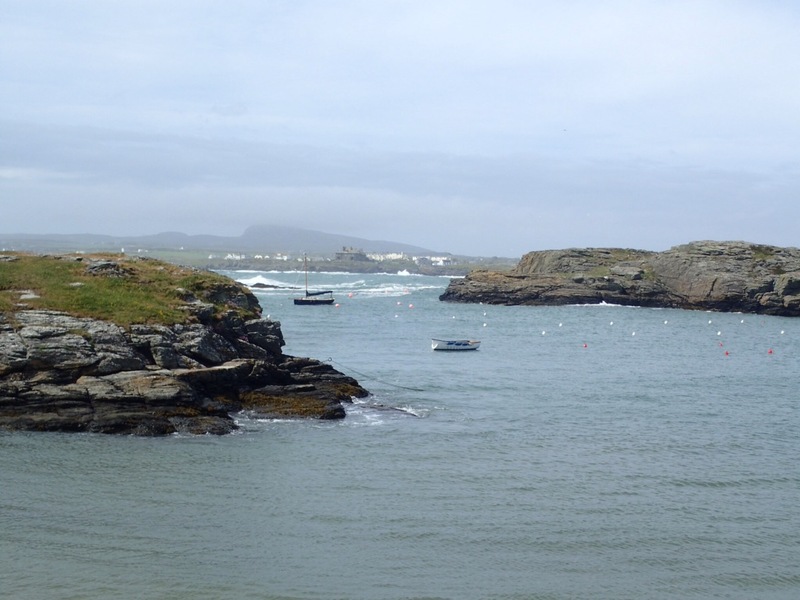 I’ve yet to tell you about the beauties of Pembrokeshire or the kind pubs in West Wales or the many times I was fed or housed or cared for on a person’s whim. Chronology is over-rated, and I’d love to share these with you if you’d like to read them. Thanks for being part of the adventure with me. Oh, Anglesey. You beautiful island with your rugged cliffs and kind people; with your great food and cosy cafés; with your atmosphere of contentment. Where do I start? I got to Bangor just about on schedule (believe it or not from my North Wales post). I’d hammered it over the weekend to meet a family friend there on the Monday. 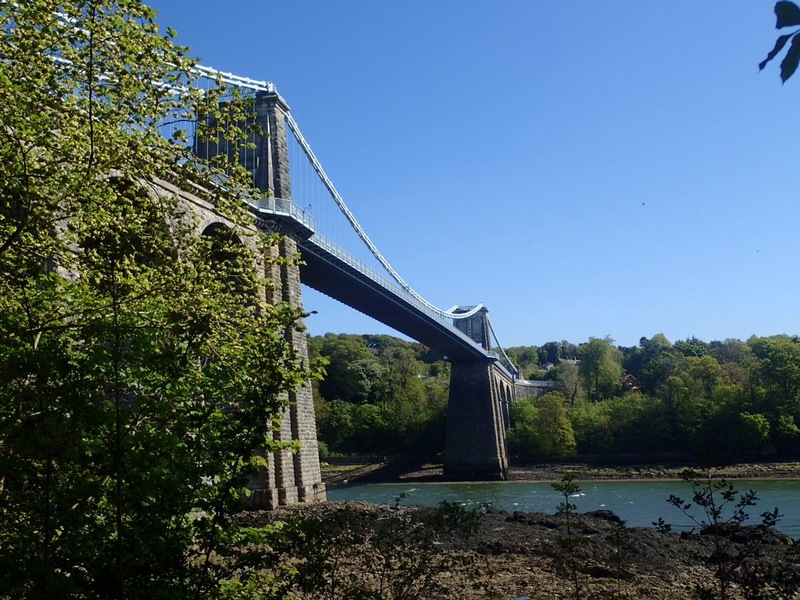 Then, fed and caffeinated by the Blue Sky Café, we headed off to cross the Menai Bridge. In Beaumaris I was treated to a steak that absolutely blew my mind. Which leads me to the first thing I’d have to say about Anglesey: they know how to make some seriously, seriously good food. My best Anglesey stories come from food. 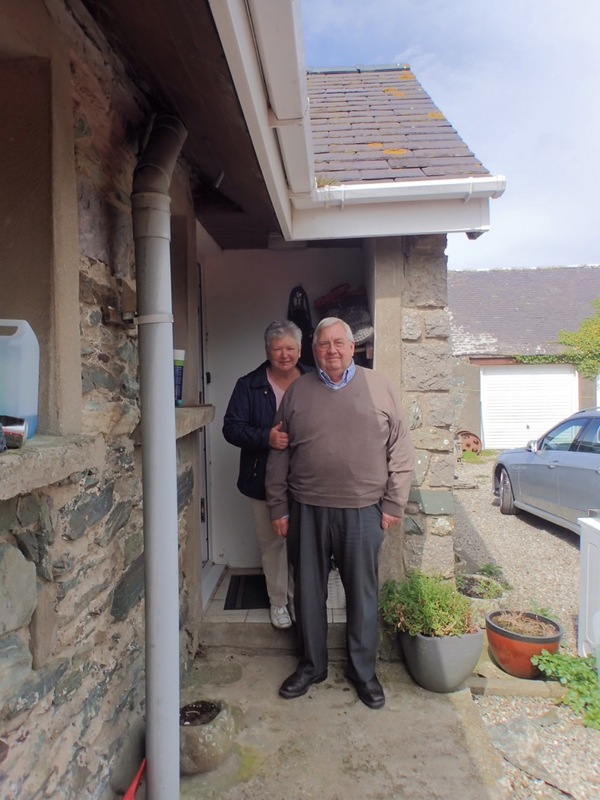 For example, in Amlwch I strolled into a pub at random and walked straight into a wonderful community vibe and the friendliness of John, the landlord at the Adelphi Vaults. I got to know Rachel, the chef, and other various people coming and going. I ate my dinner with Rachel’s daughter and her friend. I absolutely loved telling them about my trip; children like those remind you to be full of awe and wonder. 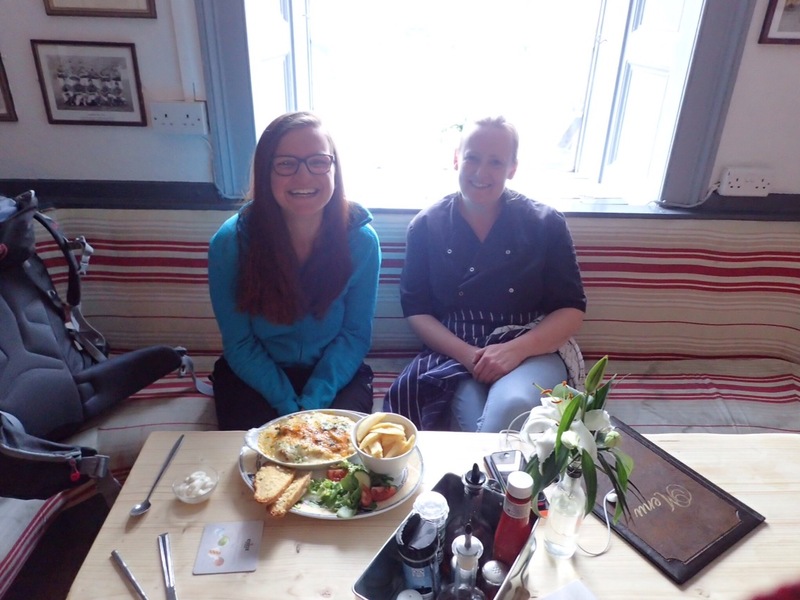 I had an incredible lasagne, so filling I almost burst (which, given my hefty walkers appetite, is quite impressive) and afterwards the girls took me to ‘the rocking boat’, a place they like to go and play. 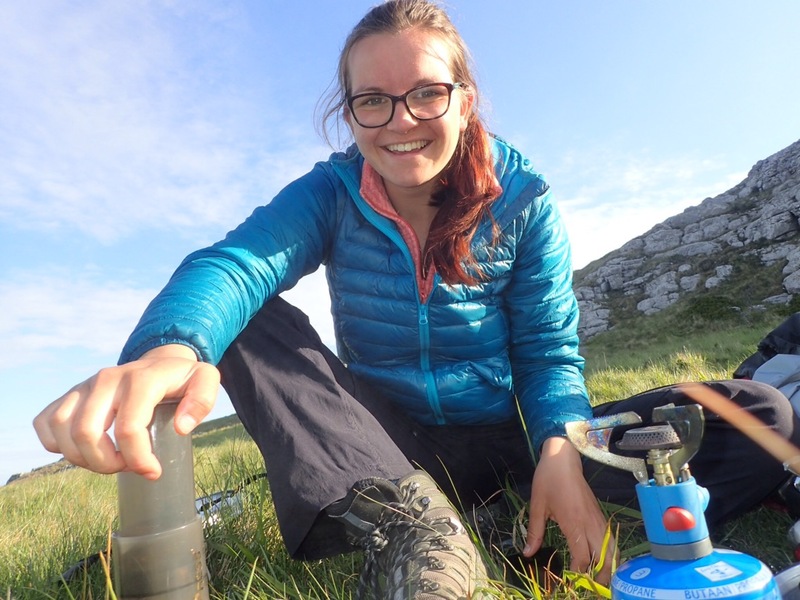 Now Rachel was also the person who, after I’d made it to South Stack lighthouse on Holyhead, phoned me via Facebook and offered to pick me up and let me stay at her house because the weather was turning rough. I hesitated at first, but then I remembered that all the most memorable parts of the trip had come from letting people be kind. The next day the weather was pretty grim, but I was still keen to get walking. I had to wait a while before I could be dropped back to Holyhead, which I’ll be honest made me quite antsy. After so many weeks of being on nobody’s schedule but mine it was strange to have to work around other people. But I retracted all grumpy thoughts when I realised that they had basically kept me with them because a friend of Rachel’s had wanted to take them and me out for dinner that evening. 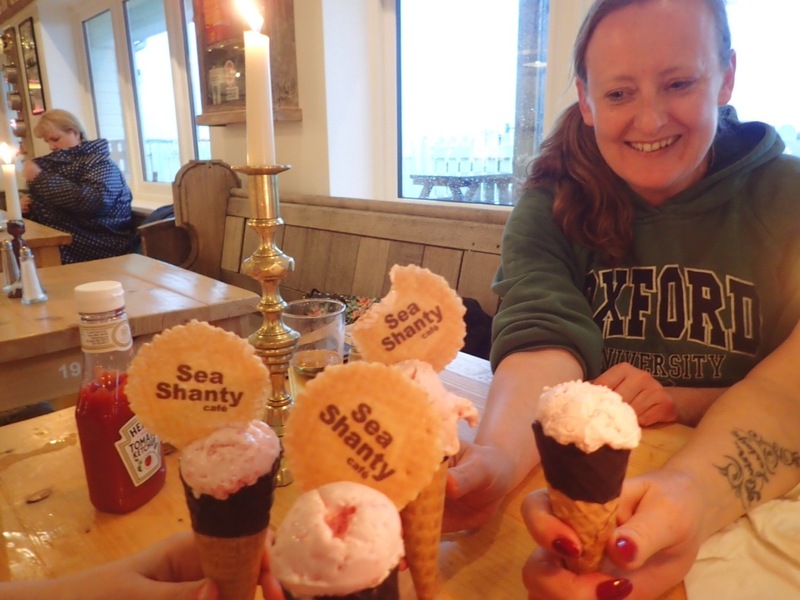 We went to an incredible restaurant called the Sea Shanty at Treardur Bay. I’m still having happy food dreams about the Cajun chicken I had. I also got chatting to the owner and out of that got an exciting music venture lined up. So that was cool. But that’s not even the only time I was taken into somebody’s home. 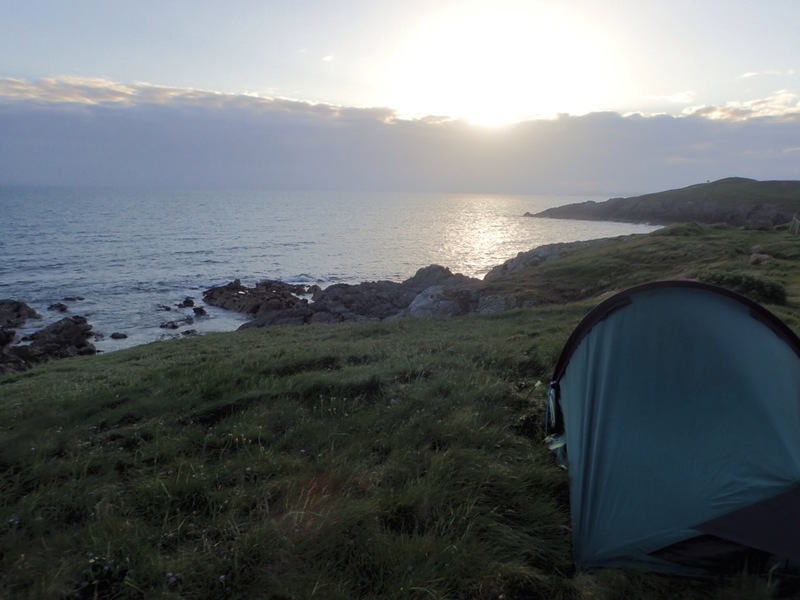 I was walking near Cemlyn Bay, and Magi drove past and asked where I might be going at nine o’clock with a big backpack, and did I realise I was in the middle of nowhere. I said I was heading over to camp on the headland. She offered me her garden to camp in instead, but when it started to rain I was offered a room in the house. I walked into a home full of Welsh Bibles and hymn books, and I was blessed beyond measure by their kindness. Magi made me egg and soldiers, saying it was force of habit from being a grandparent. Before I left the next morning, I asked if I could pray with them. And we prayed huddled together in the kitchen. Magi cried. We’re miles apart in both geography and age, but we stand together as servants of the same Lord and children of the same Father. Not long after that, I hit a huge milestone: the 500 mile mark of my 1,000ish mile trip. 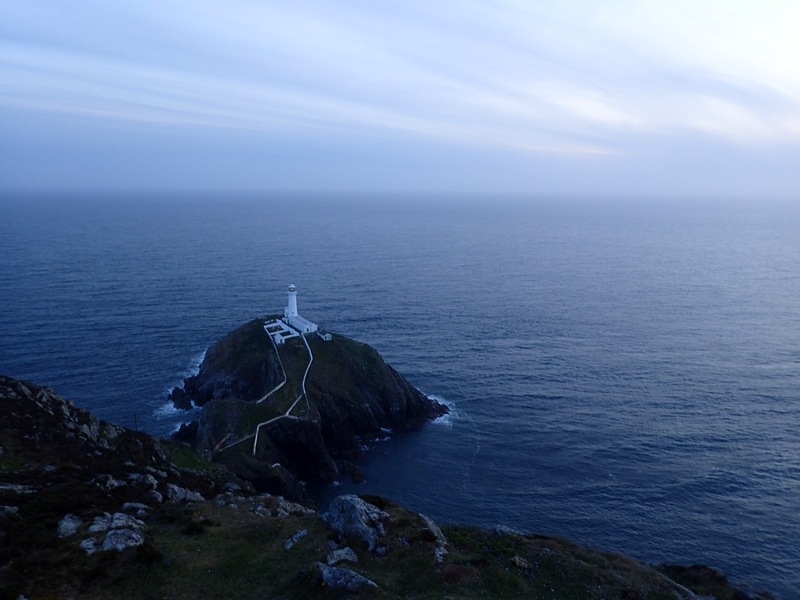 I may have walked 500 miles before then, but at South Stack lighthouse I knew that I’d done it for sure. 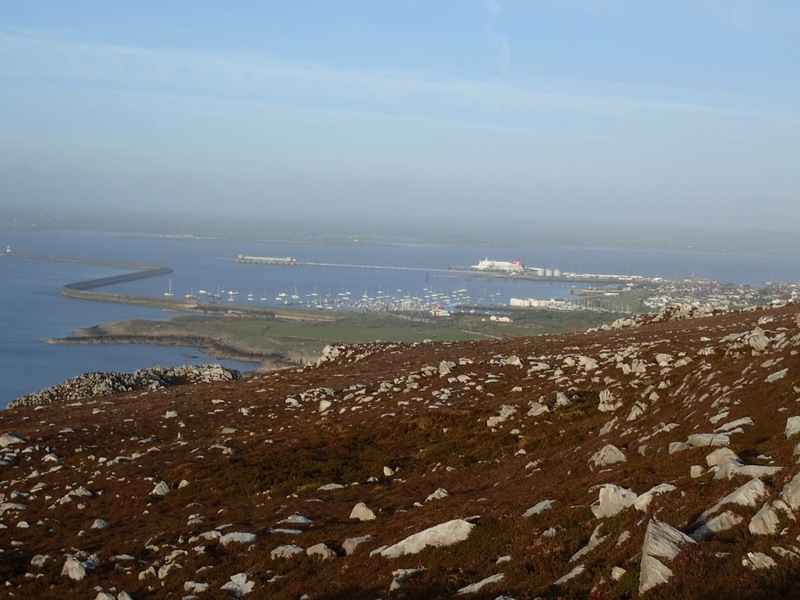 I got there at about nine after climbing over Holyhead mountain (it’s crazy that I’ve become someone who now thinks to myself, “well I have two hours of daylight left, I’ll climb a mountain”). There wasn’t much of a sunset and the weather was un-inspiringly grey, but it looked beautiful to me. The sight made me quite emotional actually. I was really, really proud of myself. Yes, the Proclaimers was sung; loudly and many times over. This was also the day I met Jean McKenna. 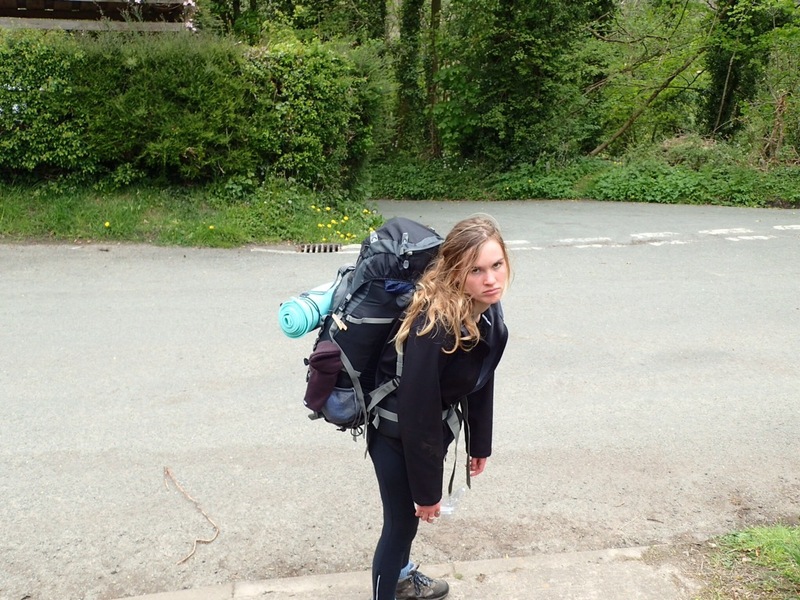 She was walking to whole Wales Coastal Path with everything on her back, wild camping as she goes. She also turns 70 in October. 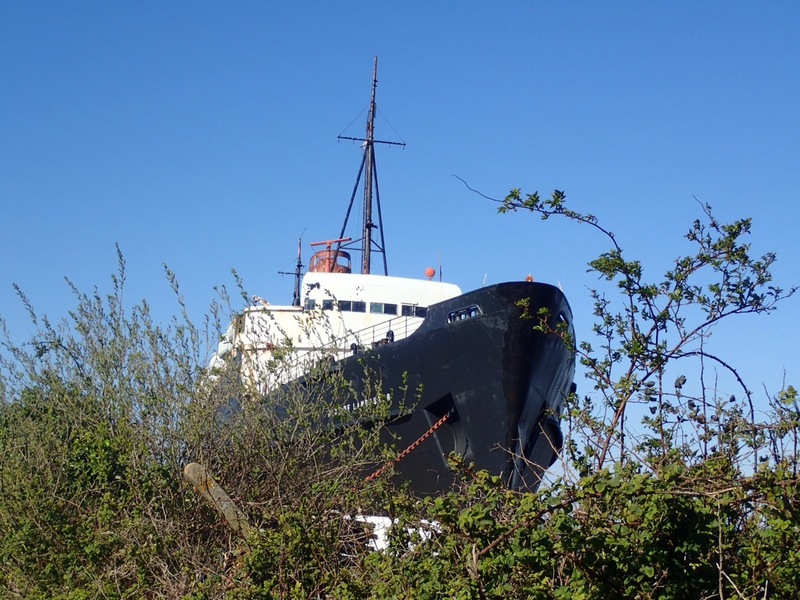 I met her in a café (classic) just after the causeway onto Holyhead Island. Once we got talking, I don’t think either of us could believe we had met the other. I was so inspired by her fearless and youthful heart. And she couldn’t believe that for my first walk I’d taken such a massive challenge on. 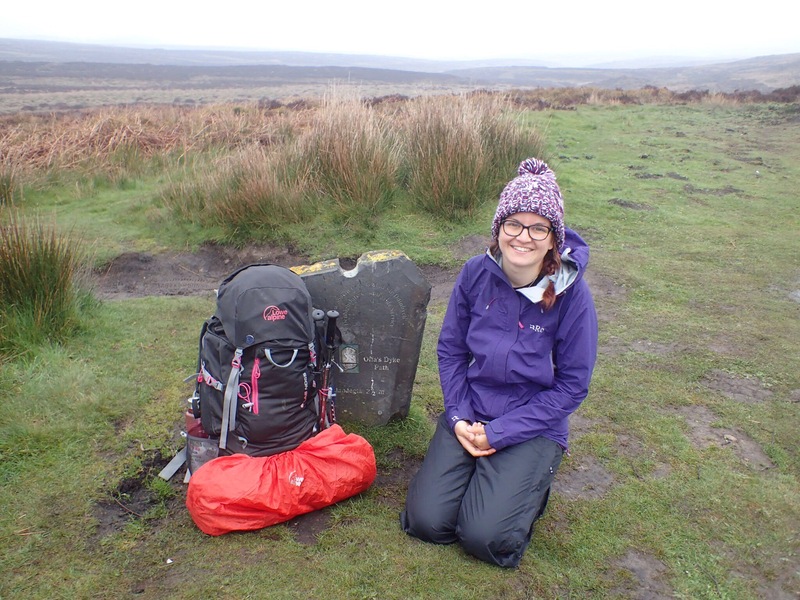 In her 20 years of long distance walking, she had never met another woman walking and wild camping alone. We walked together the rest of that day, and parted just before the aforementioned scramble over Holyhead Mountain, where we’d found her a good wild camping spot and she was happy to call it a day. She’s long overtaken me now though. Which is humbling, but it’s another lesson in not comparing myself to others. 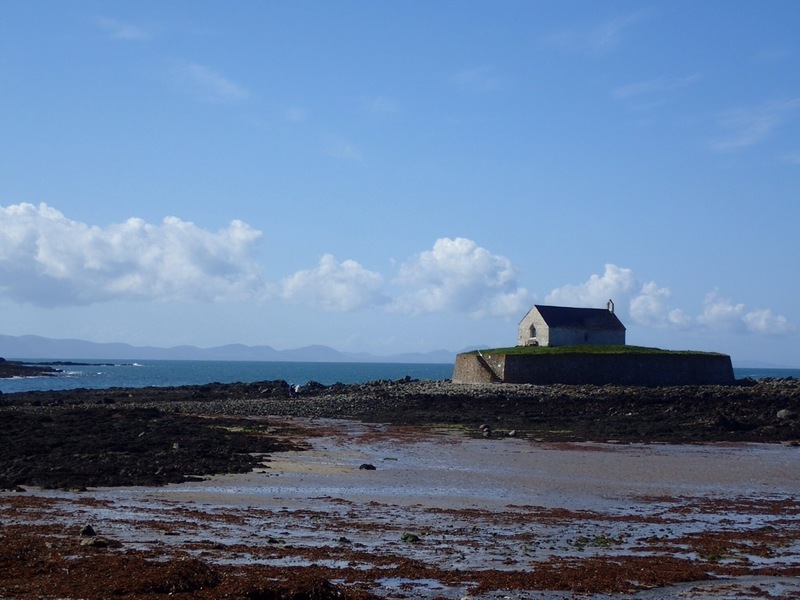 For real though guys, Anglesey is a beautiful island. I wouldn’t have missed it out of the trip for anything. 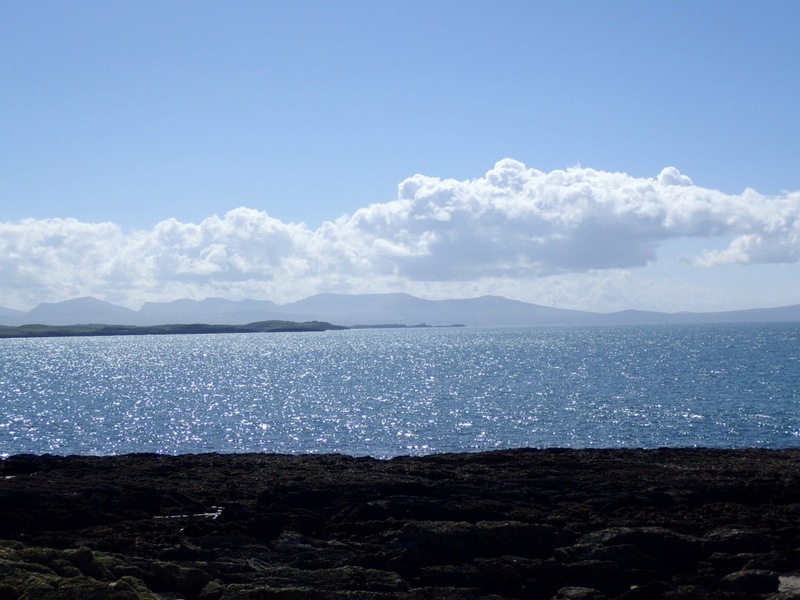 Walking from Rosneigr to Aberffraw with Snowdonia coming into view to beckon you back to the mainland, absolutely took my breath away. The sea was glittering like I’ve never seen if before. 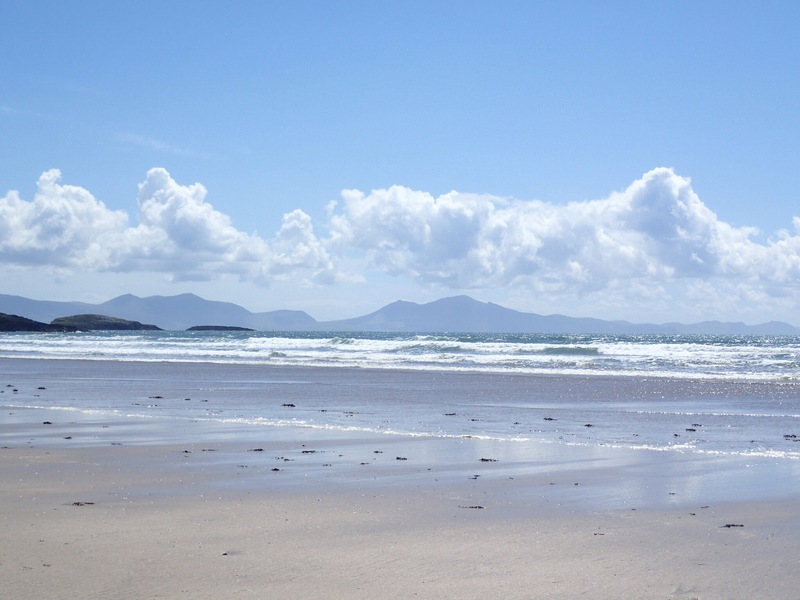 Aberffraw is one of the best beaches I’ve ever set foot on. 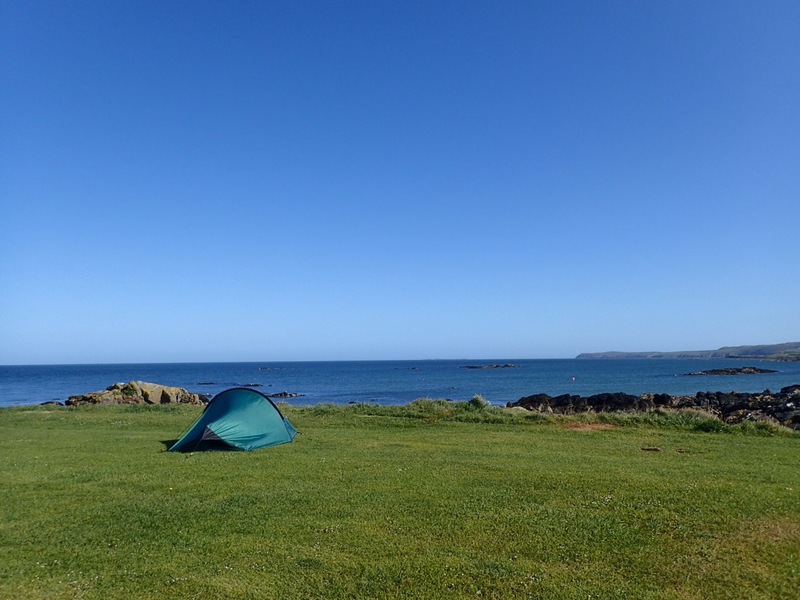 And being able to camp inches away from blue, blue water at a campsite in Penrhyn Bay. Also a family had me round to their caravan for breakfast in the morning, after I’d been recognised from Facebook posts. I’m not happy about the fear and sadness in my country right now. I’m tired of seeing cloud after cloud of darkness come over this land. There’s a film called ‘Wild’ where Reese Witherspoon goes off and walks a thousand miles with no experience. I relate to it more than I’d like to. Anyway, the character remembers the words her mum would say; “put yourself in the way of beauty. There’s a sunrise and a sunset everyday and I can chose to be there for them or not.” Something like that. That’s partly what this trip was all about. Immersing myself in the beauty that I know is out there. Letting God romance me with the beauty of his creation. But the thing I hadn’t counted on is how much I would be putting myself in the way of the kindness, goodness, generosity and soul-level beauty of the people I share my home country with. Last night I walked into a pub with my enormous backpack, which inevitably starts a few conversations. From my table I briefly chatted with some guys at the bar about my trip and what it was in aid of. I sat journaling and eating my dinner. The men at the bar left, saying goodbye and good luck as they went. Then after they had gone, the landlord came over with a pint glass of money, saying the gentlemen had made a collection for me. I was so, so moved. A lady named Safiya asked the landlord what that was all about, and she came over to meet me. We got chatting. She asked me where I was staying that night and I said I was planning to wild camp somewhere outside the village. She said she had a spare room. She welcomed me to stay in her home. Incidentally this was moments after my mum had sent me the weather forecast, predicting a months worth of rain to fall the next day. During all of this, the benefit concert for Manchester was playing on the screen behind the bar. We all know the phrase, ‘it’s better to light a candle than to curse the darkness.’ I have never seen that as clearly depicted as I did in that village pub. I’m losing count of how many times people have shown me kindness. I’ve walked into places as a stranger, and people have chosen not to treat me like one. The overriding thing I have experienced is that people treat me how they would want to be treated; the way they would want their daughters and sisters to be treated. People are good and kind. In a time when it’s so easy to forget that, I’m profoundly grateful to have been shown that in a way I will never forget, by the people in my own beloved country. 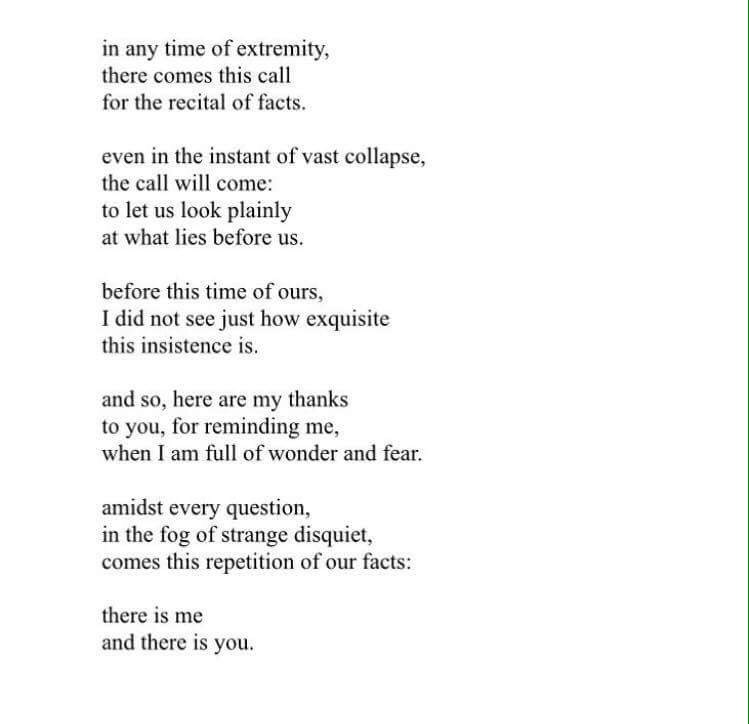 The poem below comes into my mind when the news makes me feel the way it makes me feel today. It’s by a friend much better with words than me. That love is the antidote to fear rings so true that we mistake it for a cliché. But in what seems like chaos, put it to the test. I won’t lie to you, the moment I rejoined the Wales Coastal Path after almost two weeks on Offa’s Dyke was not a happy one. Up to that point, my trip had been nicely broken up into manageable chunks. First a goal of getting to Chepstow, then the promise of a bed in Welshpool, then Chester. 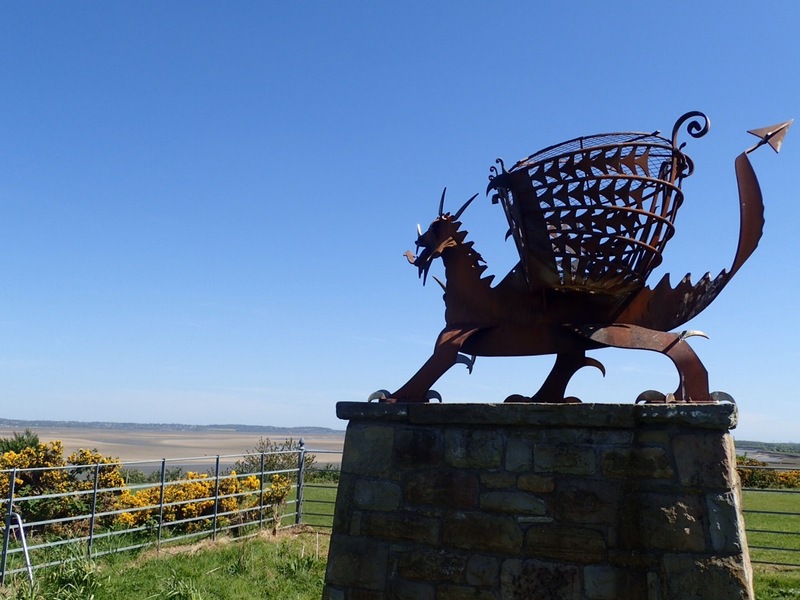 And then after a great brunch in pretty Chester, in glorious sunshine, I see the dragon-shell logo pointing down a long, long, long tarmac path. The realisation set in of how much walking I had yet to do. It felt like I was right back at the beginning. That feeling wasn’t helped by the uncanny resemblance between the walk into Flint and the walk into Penclawdd that I did on my very first day. 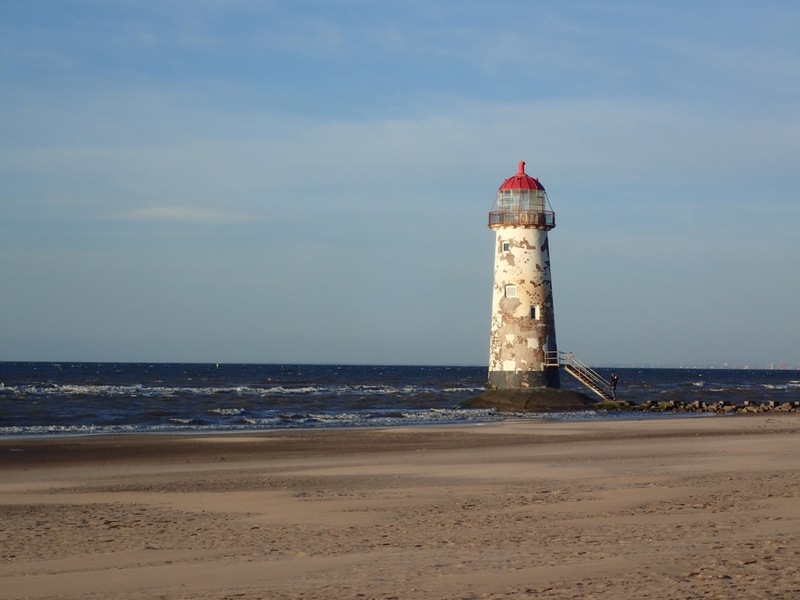 Only instead of seeing Llanelli, and home, across the bay it was the far away and unfamiliar Wirral. A very dear friend that I hadn’t seen for years had offered me a place to sleep that night. In my tired-footed and overwhelmed-at-how-far-1,000-miles-actually-is state I almost didn’t take her up on it, not wanting to put a downer on her evening. But hanging out with her was exactly what I needed. I’m so grateful that this trip has given me a chance to reconnect with old friends. We started talking about other friends from long ago that were close by. And a subtle shift happened. I stopped looking at the path as a massive task to complete, but as a way of getting to this friend or that friend. The 700 miles started to break down into 20 miles to this persons home town, and 30 miles to that person I’ve been meaning to catch up with. My way markers and landmarks across North Wales were old and new friendships and hours of conversation. I got to hang out with a family that I thought were out of the country, play cards, have curry and catch up on life, stand at the top of a hill and pray over North Wales, and talk about music and musician life with someone I considered a passing acquaintance and would now consider a friend. Even different Costa teams have been such a big part of this, welcoming me in a cheering me on as one of their own. Because I guess I am. We have this huge thing in common that makes us not strangers, and it’s lovely to get to experience that. Since I started my walk on the Gower, the bar was set very high for the rest of Wales. I’ve seen beautiful views to be sure, but none that had challenged the fierce belief that home is just that bit better. It wasn’t until Colwyn Bay that I found a view that could become a new favourite. The slightly tedious 70~ mile walk across North Wales and its obscene amounts of caravans finally becomes worth it when you round the Great Orme to see Colwyn Bay beneath you. It is beautiful. 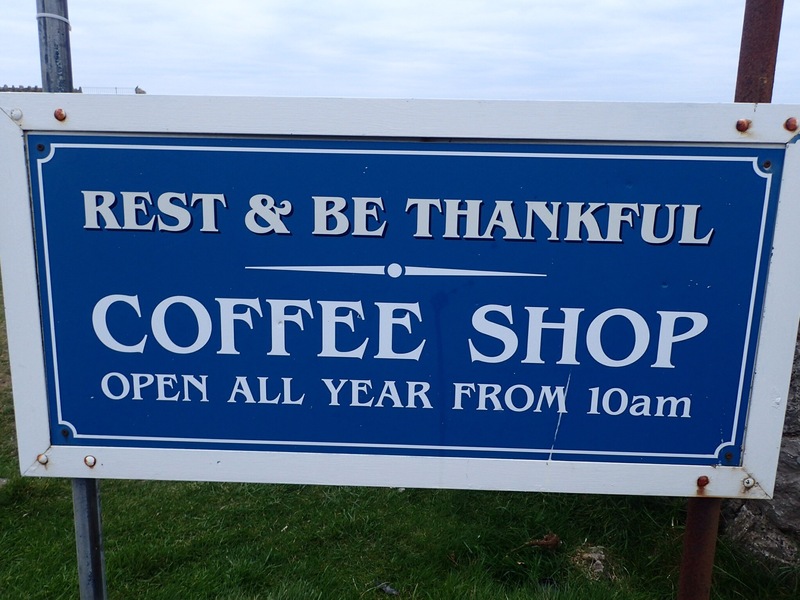 There’s a cafe on the Great Orme called ‘Rest and Be Thankful.’ From there, on a clear day, you can see Wales, England, Northern Ireland and Scotland. It was neither clear nor daytime when I was there, and the cafe was closed. But I camped around the corner, I did rest, and I was thankful. Coming down off the Orme after a great night camping up there, I was invited into a house for tea and toast after I’d gotten talking to Vaughn outside his home. He loved where he lived, and his ability not to take the view for granted was something I admired. He was originally from Anglesey. Little did I know that his hospitality was but a foretaste of the kindness I was to experience on that wonderful island..
Rest and Be Thankful all year round. Hello, dear ones. Apologies for being behind on the blogging thing. 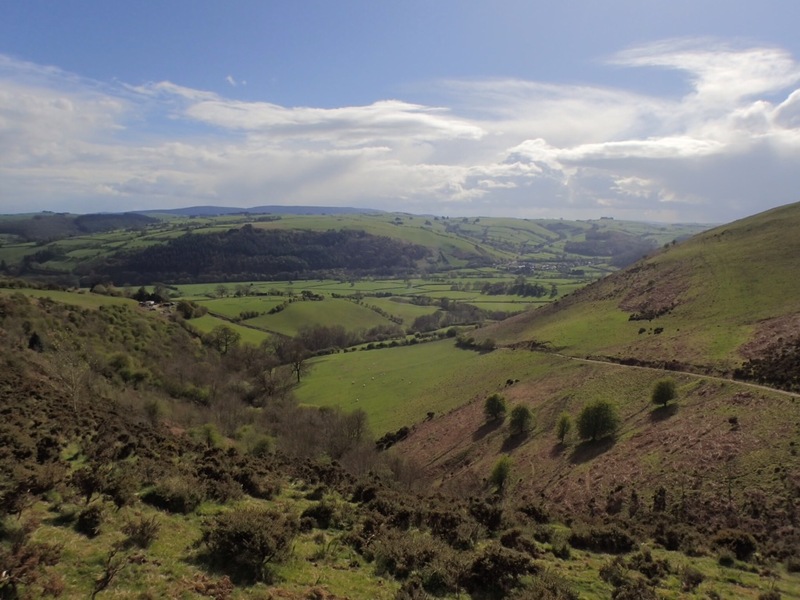 I finished Offa’s Dyke over a week ago, but settling down to write usually results in falling asleep. I’m also now trying to blog on a phone screen, so I can’t guarantee free flowing eloquence. But surely being over 400 miles around Wales deserves a little grace? To be completely honest, 6 months ago I’d never heard of King Offa of Mercia. 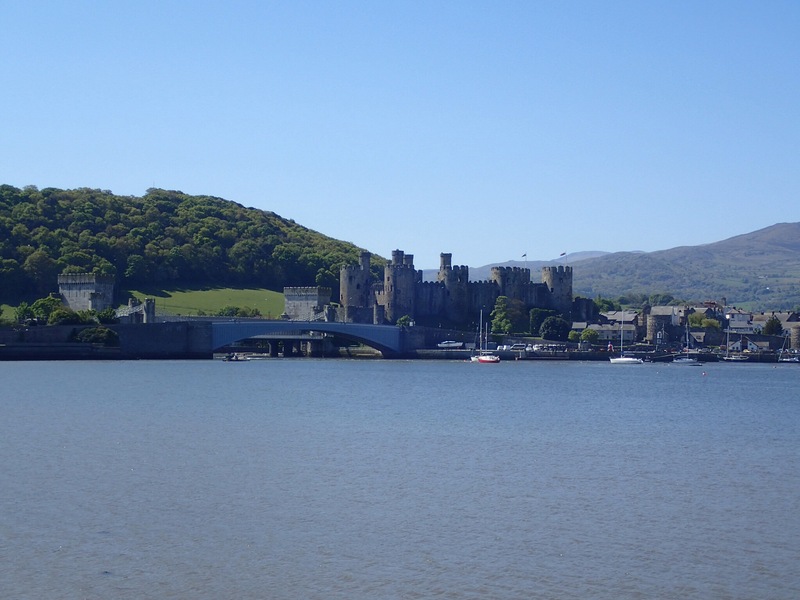 But at some point in his reign, this Anglo-Saxon king decided to build a mound of earth defining his kingdom, separating what we now know as England from what we now know as Wales. It’s a Hadrian’s Wall of the West, a symbol of division. And it makes for a great national trail walking path. 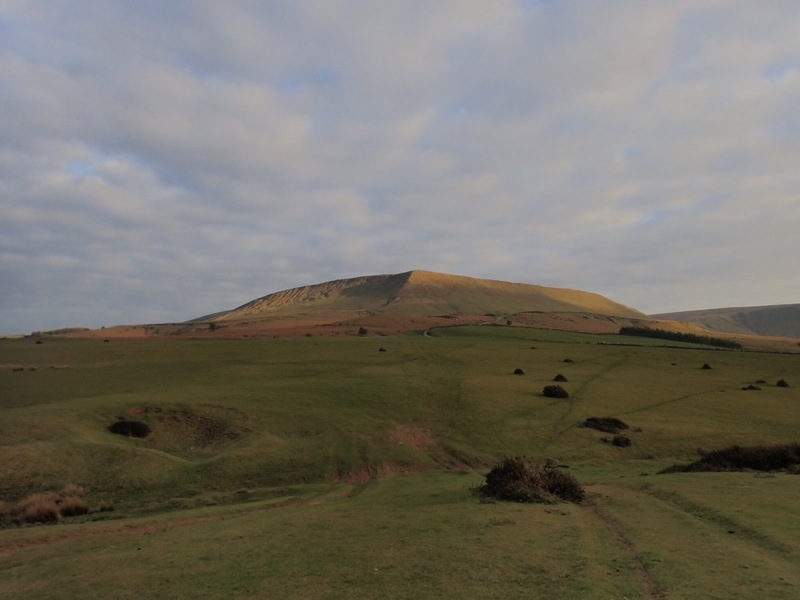 As the path follows a man-made construction rather than a natural feature, you pass through an impressive array of different landscapes, including three areas of outstanding natural beauty (the Brecon Beacons, the Shropshire Hills and the Clwydian Mountains). It crosses the modern day border more than 20 times. As a result I spent most of the two weeks not knowing what country I was in, and admiring views unsure which nation it belonged to. I’d usually pick the prettiest and decide that was probably Wales. The first day I headed out of Chepstow with Mum, Dad and my good friend Tristan who popped over from Bristol. After a day’s walk we heated up a huge saucepan of Cawl on my tiny camping stove in the Wendy house of a public park. It was a very surreal experience. They left me in the camping spot the kindly pub owner had recommended, and headed home. I had company to look forward to the next day too, my glorious friend Mel. There’s something about walking in step with someone for a while that does something great to your conversation. But both days I really struggled going back to being alone after having people with me. I’m totally wired to be around people. There are sore muscles, aching feet and times of low energy, but by far the biggest personal challenge is spending so much time by myself. 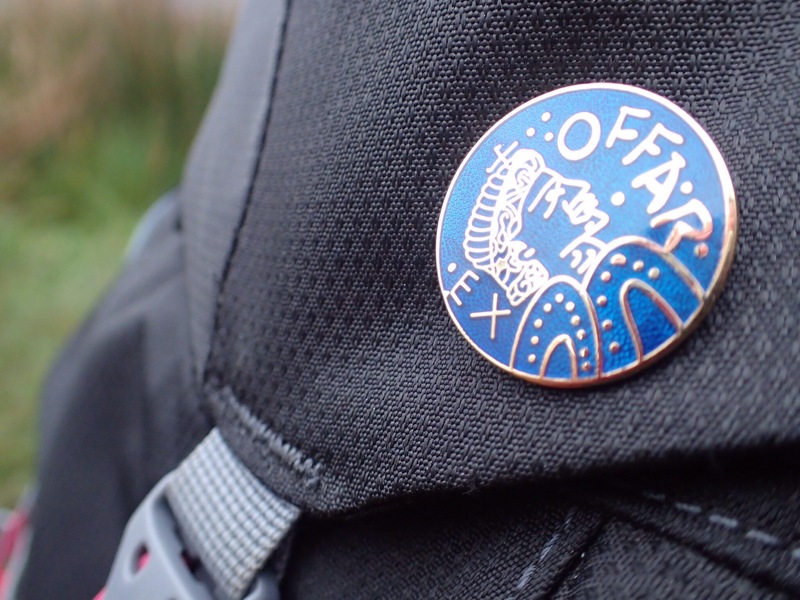 The other challenge was that the walking difficulty on Offa’s was a massive step up from the coastal path. 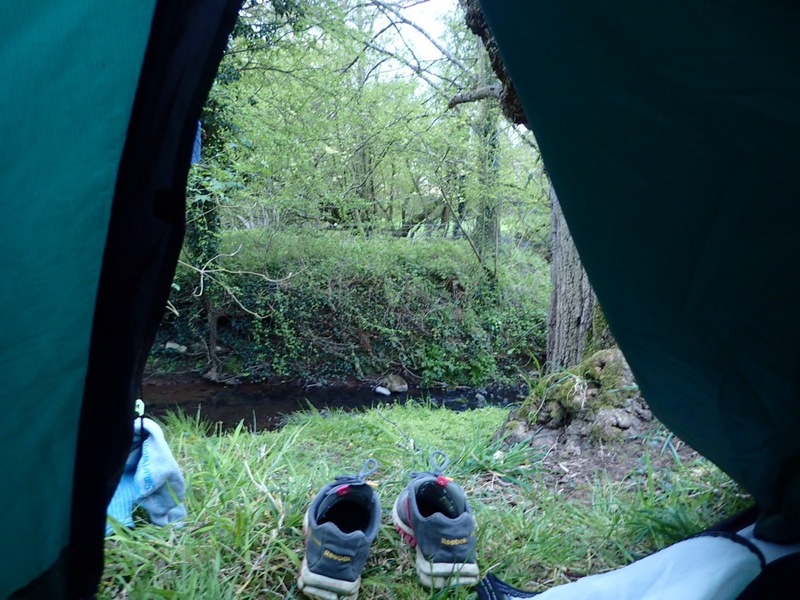 The evening after walking with Mel, I camped in an amazing spot by a stream. Laying in bed I was watching the stream out of one tent door and the sunset out the other, and the most beautiful church bells I’ve ever heard were chiming somewhere close by. 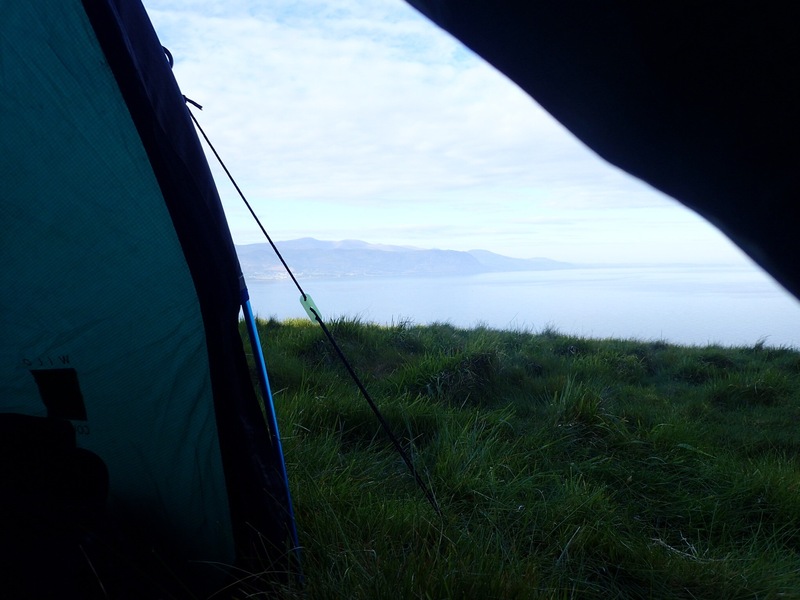 However in the morning I woke up to two horses breathing on my tent, and made a speedy getaway. It was meant to be a short walk from my random stream to Pandy. I planned to get there, get some breakfast and then do the actual walking for the day. But my supposed ‘short walk’ was actually a full on ten mile hike, a taster of the knackering terrain to come. I knew that if I gritted my teeth and chugged on, rigidly holding on to my little Offa’s Dyke schedule, I’d have hated it. So I very intentionally took it slow. I took that afternoon off after getting to Pandy. When I strolled into Hay on Wye, I basically took a whole day off there too, getting lost in bookshops, quirky galleries and cafes. And I spent three full days at a friends prayer house outside Welshpool, hanging out with God and writing songs. Yet somehow I got to Chester and finished Offa’s Dyke exactly on schedule. Figure that one out. It’s been a massive surprise to me how much I’ve been able to take in my stride (literally). 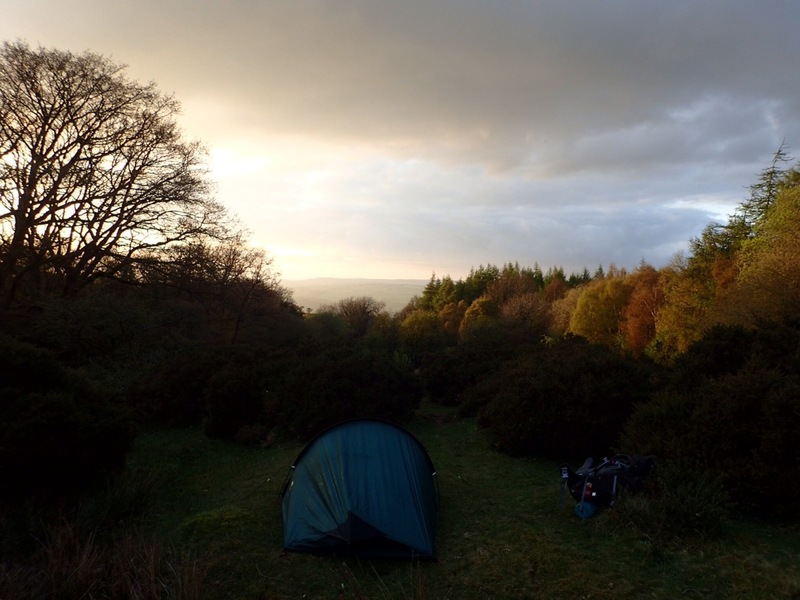 I’d never have thought I could handle a whole day walking across the Black Mountains, alone, and be able to wild camp at the end of it. 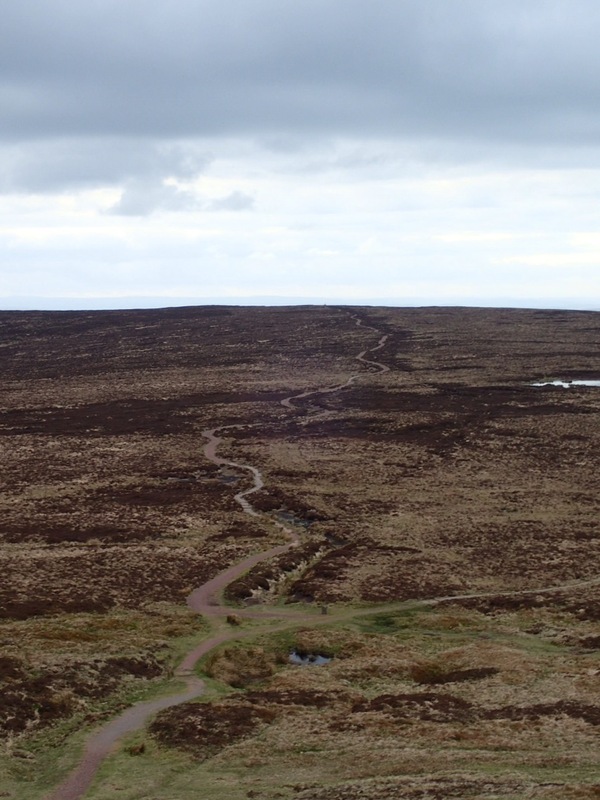 Or that I’d complete the notorious ‘switchback’ section and then go on to walk another 10 miles that same day. I can only imagine it’s called that because people take a look at how steep the hills are and think, “nah mate.” At one point you climb well over 100 metres (350 feet) in less than a quarter of a mile. If those numbers mean as little to you as they did to me, it’s the kind of steep that feels like you’re hanging on to the edge of the world by the tread of your boots. So, anyway. 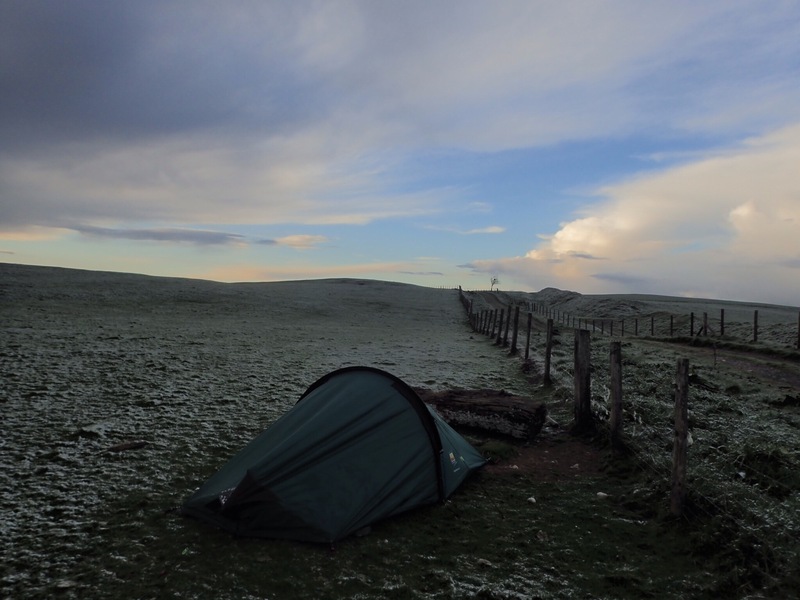 Offa’s Dyke was a great couple of weeks. The tag line on the signposts is ‘breathtaking borderlands’, which is true in the sense that it is a stunning stretch of British countryside, and also true as a nod to the amount of panting it takes to walk through it. I’ve had moments where people’s hospitality have absolutely warmed my soul. Once, when I totally ran out of water, I’d asked two older gentlemen sitting outside their garage if I could fill up from their tap. Before I knew it I was sitting with them drinking coffee and being updated on all the village gossip. I left with a bottle of Roy’s homemade cider and the advice from his son-in-law to drink it when I was “done with walking hills for the day”. 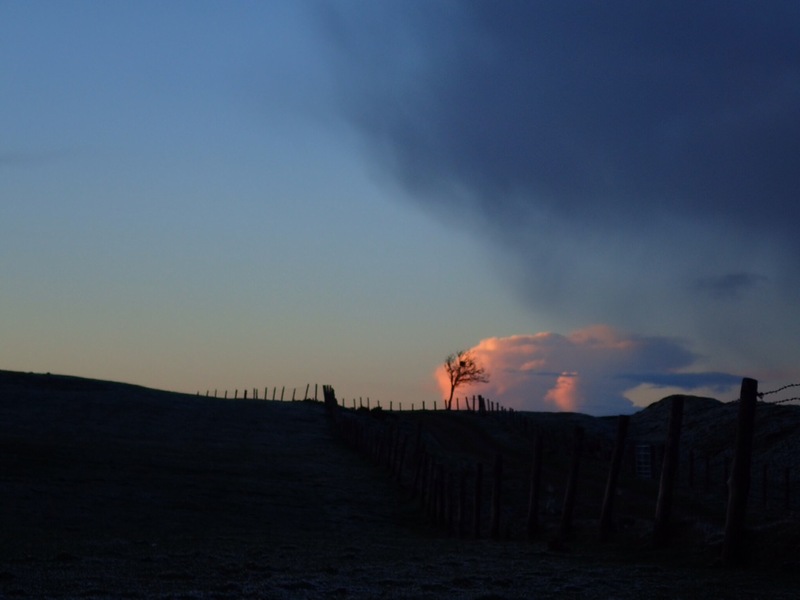 The night before it had snowed, June at Panpwnton Farm came out with a big woollen blanket for me having noticed the sudden cold snap. In Chester I had a great evening staying with the parents of a friend from uni, sitting for hours at the dining table talking about books and movies and the Bible with themselves and their guests. And not forgetting my own lovely dad sister for spending their bank holiday weekend trudging along beside me. People have, in so many ways, made me feel loved and looked after as I’ve bounced in and out of their borders. To them, and to all the people who have encouraged me, sponsored me or passed me on the path and said hello, thank you so much. I’ve hammered my feet but my heart is happy. God has created an exquisitely beautiful world. That statement is fundamental to how I understand and enjoy the world. And yet in this day and age it’s as controversial as it is simple. Everything in society seems to point away from belief in a designer. 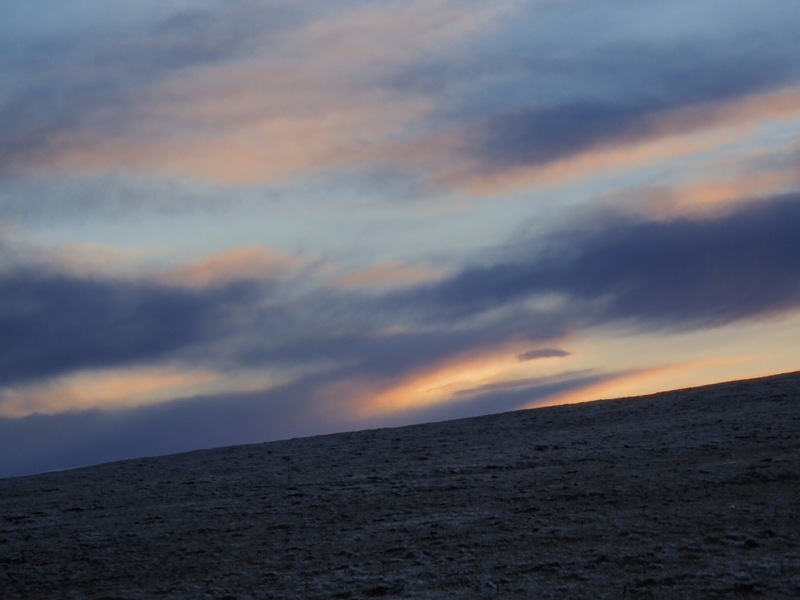 We can probably find common ground on the view that there is beauty on this earth, vast and varied. If there’s no creator, then the beauty we see in a forest or a beach or a child’s smile is just happy coincidence. But the way I see it is this: all the beauty of the earth, the beauty inspires our admiration and gratitude, is meant as a set of hints, clues and suggestions; a series of conspiratorial whispers; all nudging us into believing that behind the beautiful world is not random chance, but the loving God. The Bible says that we are made in the image and likeness of God. If that’s true, then every good and beautiful thing we can say about humanity or creation, we can say about God exponentially. He is the beauty of humanity and the earth multiplied to the infinite power. If that were true, wouldn’t He be worth knowing? In the Psalms that’s what David says will happen when the Lord Jesus, who showed death where to shove it, comes back to judge the world in righteousness (Psalm 96). Which means He’s coming to sort out the mess. Thar’s the hope we have as believers in the risen Messiah. That one day we’ll see a creation not tainted by death and decay, no longer creaking under the burden of brokenness but bearing the weight of his glory instead. If that were true, wouldn’t it be worth hoping? Just some thoughts from your tired-footed friend. 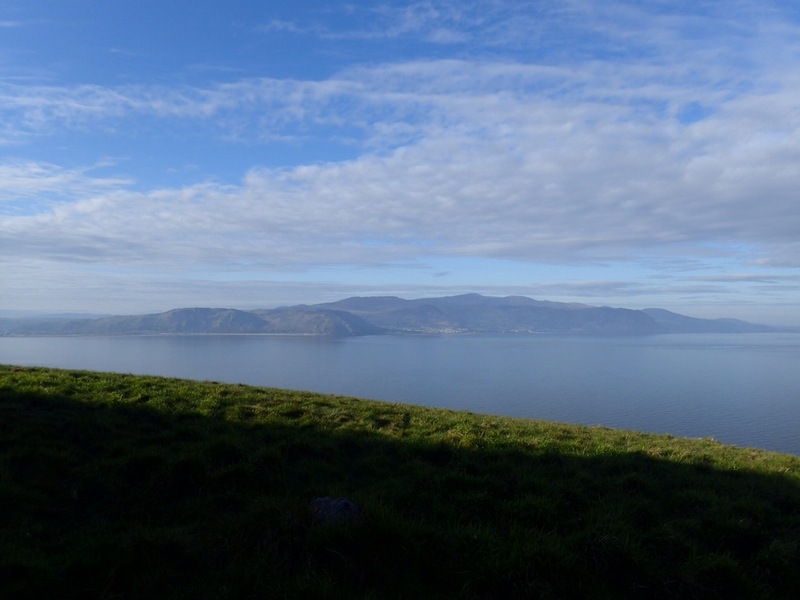 The last seven days of walking haven’t lent themselves to an orderly and coherent blog post. Probably because the South Wales coast from Swansea to the Severn River is anything but orderly and coherent. One moment you’re walking down a stunning expanse of sandy beach. The next moment the heavy weight of industry is everywhere, and you’re in the landscape said to have inspired the dystopian opening of Bladerunner. So instead of trying to write you a flowing account of this week, I’ll just share with you some things I’ve learned and how I learned them. And if it’s as disjointed as the coastal path has been, so be it. I’ve spent a lot of time going the wrong way. Never in a really major way. But half a mile backtracking or a few loops of the wrong farmer’s fields here and there probably add a marathon or so onto my mile count. Some of these mistakes I’ve accepted graciously. Others, definitely not. Then I’ll realise that I’m in the wrong place. 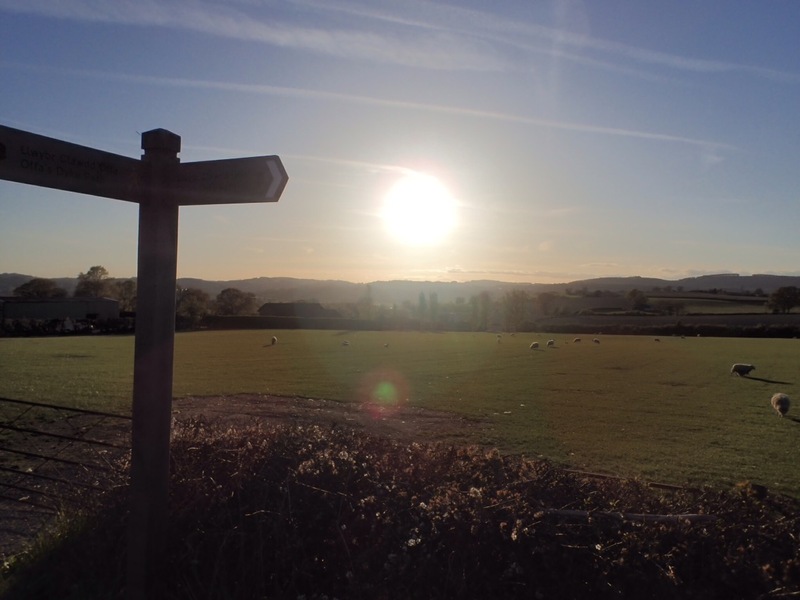 When you’re going the right way, the signposts are an encouraging and affirming sight. I often smile passing the unique little ‘dragonshell’ design. When you’ve had to sullenly find your way back, finding that the signs were obvious, they look smug and obnoxious. I think we spend a lot of life like this. I certainly do. It doesn’t have to be difficult to be worthwhile. There’s nothing to gain by making this as hard for myself as possible. He has a very efficient system for these kinds of questions. My mum was driving back to Wales along the M4 as I was walking around Barry Island, so she dropped in to see me. Without realising, I’d walked 23 miles that day, not including an accidental detour inland (see post above), making that my longest day so far. 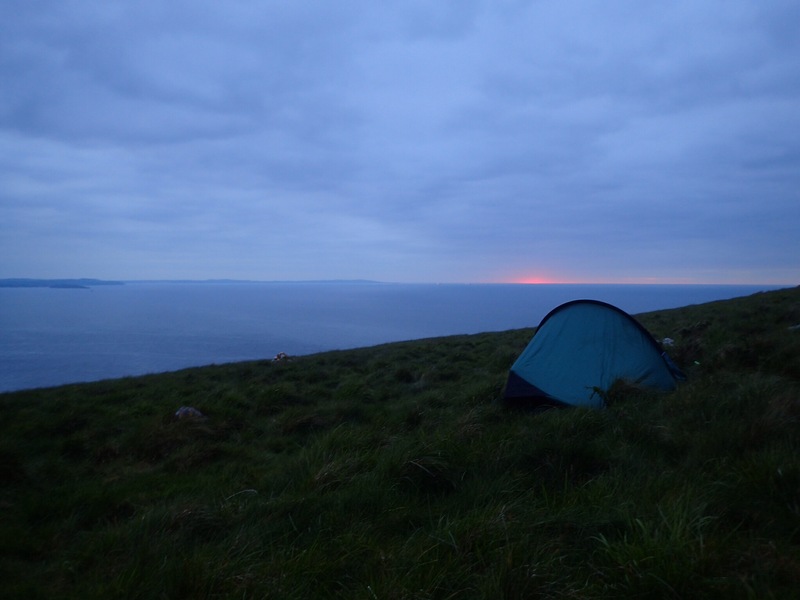 I’d gone to bed the night before in the troubling position of being very low on water; woken before sunrise to leave my clifftop camping spot and walked two and a half hours that morning before I’d been able to get water. Still, I thought I was doing fine. But my mum has this amazing ability to see things as they are, and a way of pointing things out that only a mum can get away with. Like my outrageous glasses tan. Or the fact that, as I’d suspected, I did not smell great. And the fact that I was totally exhausted. Long story short, she put me on a train from Barry to Cardiff and we made a last minute booking at a hostel near the station. And it made me so, so happy. For one thing, a hot shower was an absolute delight. For another, it was an amazing hostel. The kind that you hope to find on your inter-railing trips and becomes one of your favourites. But the biggest thing was that I was around people. I am definitely a person who recharges by being with people, and you always meet the best people in hostels. The next day I hopped on the train back to Barry and did the walk into Cardiff Bay as planned. Following mum’s advice I left some heavier things in the hostel, which made it quite a restful day. To me this felt like cheating – but who’s making the rules? My goal is to walk around Wales, not to be as tired and miserable as possible while I do it. It’s okay to make things easier on yourself. It’s a strength and not a weakness to accept help and relief when it’s there. What could have been a difficult day turned into a lovely one, followed by the delight of sleeping on a sofa, an impromptu take-away and a washing machine while hanging out with the wonderful Criddle Family. THANK YOU! 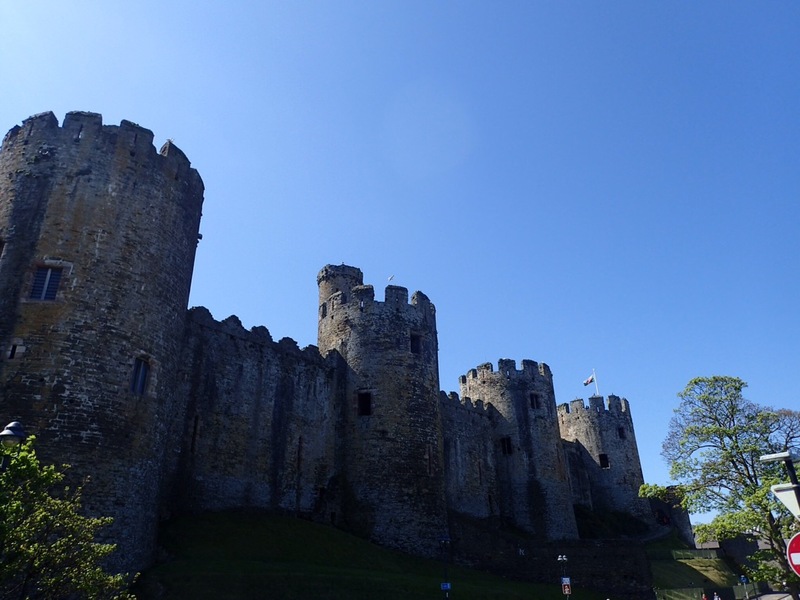 Being kind to myself meant I didn’t need to take a rest day in Cardiff as I’d planned, and carried on towards Newport the next day. It is encouraging that what I’m doing is going to have a very real impact on developing communities. And I love the fact that this seems to be an encouragement to the people making it happen. And then there’s the people I’ve been able to connect and reconnect with because of this walk. Messages of support have been coming from all over. It means a lot. So in summary, I’m 180 miles in, still enthusiastic and loving that this is actually happening. My body is starting to get used to the slightly bizarre routine and my relationship with my boots has greatly improved (we’re friends again now). I start Offa’s Dyke today, a path up to North Wales that crosses the Wales/England border more than 20 times. There’s lots of hills. Wish me luck. Don’t let people tell you that the start of a trip like this is miserable. It’s not. 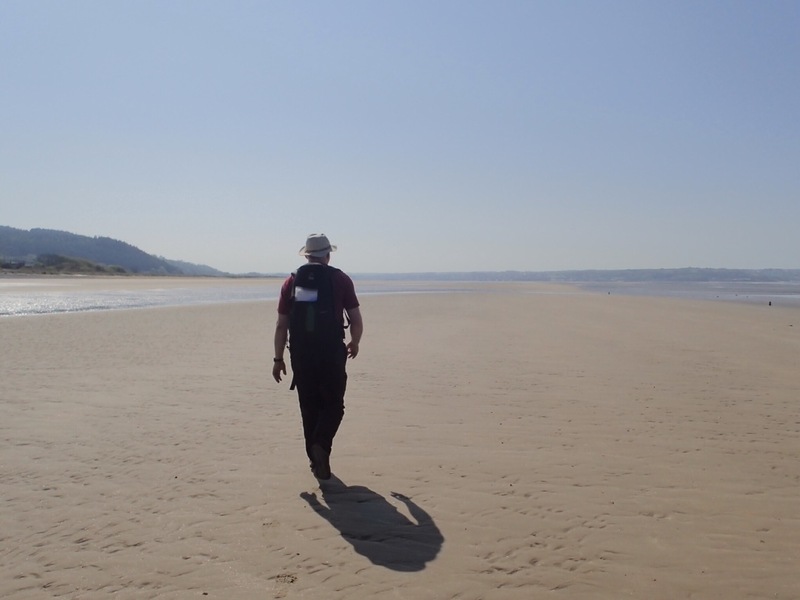 The first day I walked from Pwll to Penclawdd, with a lovely send-off at Llanelli beach (thanks guys!). The walk was fairly uneventful. I had lunch just before crossing the Loughor Bridge. 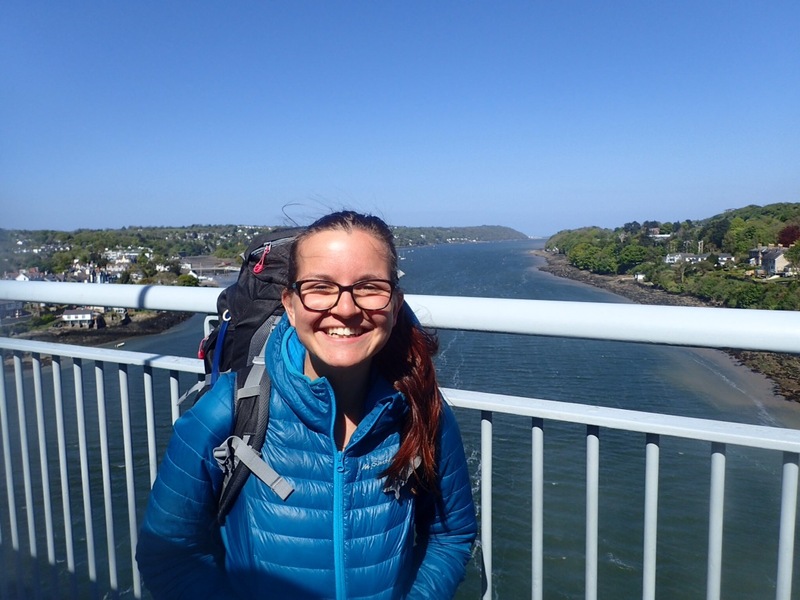 Partly because I was hungry, and partly being more of a Llanelli girl than I’d realised, crossing the Loughor Bridge felt like a big step. * There was mud and sore shoulders. I sat in a swing and ate fish and chips. I fell asleep by 7pm. *sorry for the very insular Llanelli based banter there. 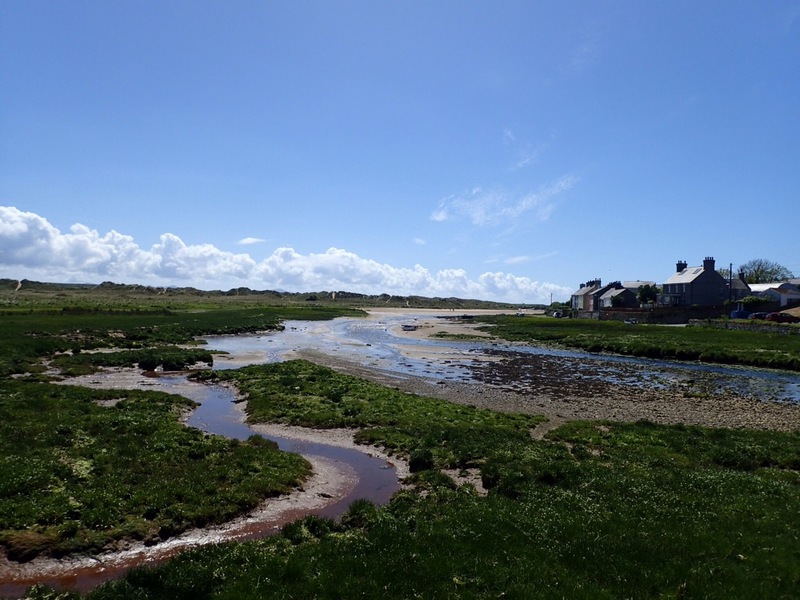 My dad came to join me for my second day of walking, a long stretch along the North Gower between Penclawdd and Llangennith, rounding Whitford Point. If these place names mean very little, this is the part of the Gower you see across the estuary from where I live in Llanelli, with Whitford Point sitting right across from my home. From my house, the saltmarshes look like a thin stripe at the base of the Gower. But they are vast and expansive. Whitford Point itself is gorgeous. It’s peaceful and tucked away from attention. The path to it winds through pines, and you hear the sound of waves long before you see the water. How often have I looked over at that beach and assumed I knew what it was like? It’s always been there and I see it every day. I’ve been to cafés and landmarks named after it, but I’d never taken time to experience it for myself. I wonder how many people are the same way with God. Dad and I enjoyed a pint together in Llangennith before parting ways. The tide and sunset times seemed to be in cahoots that evening, planning a spectacular display at Rhossili a few miles on. So I stretched my tired legs and strolled off to soak up the remnant of the day. I’m so glad I managed to summon the energy to get there. This is apparently one of the most photographed beaches in the world. I don’t know how you measure that, but I can believe it because I’ve personally taken this picture hundreds of times. The view for me holds so many memories and so many dreams. It’s a summary of summery evenings from childhood to now. No wonder the cliffs at Rhossili feel so much like home. Sitting there as the sun went down, I could see where I’d started my walk two days ago, and the stretch of coast where my walk would be ending in just over two months’ time. I couldn’t help but think of the new favourite places I might find on this trip. This view was only the beginning. Wednesday was a day of absolute revelation: just how much food I’m going to need to eat on this trip. My metabolism must’ve clicked into overdrive sometime in the first two days of walking. By day 3, as soon as I had food the energy was there. Then just as suddenly as it had come, it would vanish. If you imagine a hoover when you’ve taken it too far from the plug socket. Without warning it cuts out with a whimper. That was me. And I wish I was lying about the whimpering. I had to leave my camping spot before sunrise, and so I hiked about an hour before making breakfast. The simple process of making porridge reduced me inexplicably to tears. But after eating I immediately felt great, and went on my way. 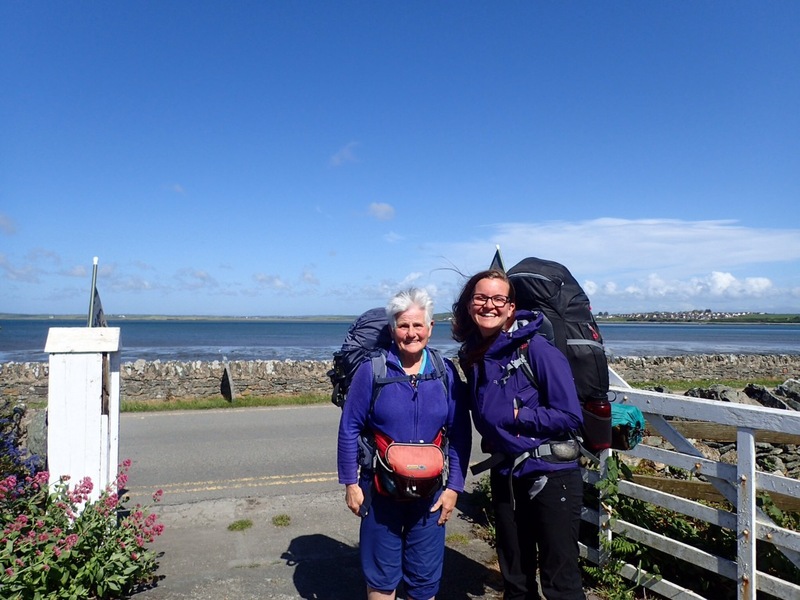 A few hours later I bumped into a lovely man called Ken, walking the whole coast of Britain (!!!). Just talking about the weather, I started to cry. That was embarrassing. Sorry Ken. I couldn’t get any momentum going, and started to think I’d made a terrible mistake taking this challenge on. I pulled off my boots, calling them several mean names. My relationship with my boots at this point was like that of a stroppy teenager with their parents. I shouted at them for being oppressive and restrictive when they were only trying to protect and support me. I slumped at the side of the path, and pretty much shut down. Eventually something stirred me to stop lying on the path as if I was going to give up. I put lavender on my sore spots, put my boots back on and, just as an afterthought, I had a snack. 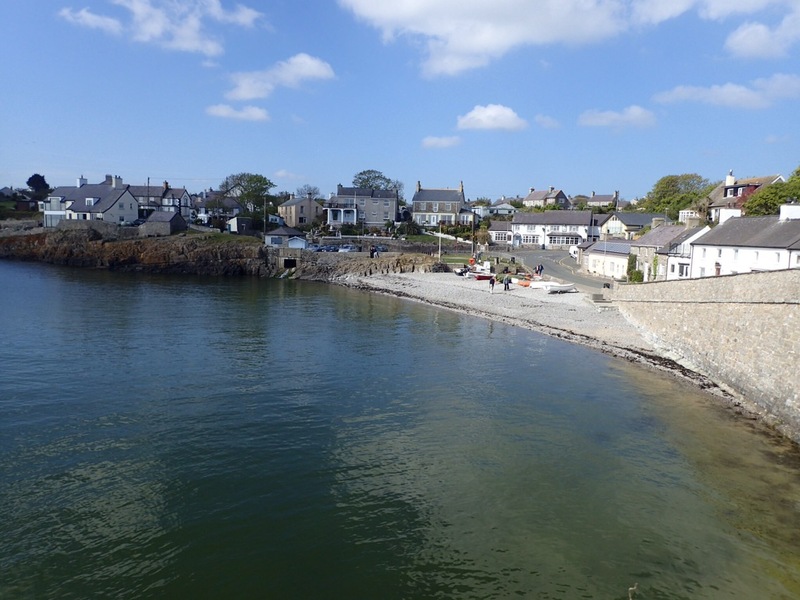 Suddenly I was striding off towards Port Eynon, promising myself a rest in a café when I got there and attributing the change of pace to the power of positive thinking. Sadly I managed to walk past Port Eynon. After realising my mistake, and walking backwards from another village, I found a tiny café and sat down. Sobbing. I sat and ate a sandwich feeling bleak. Then, yet again, as soon as I’d eaten I was in the best mood ever. 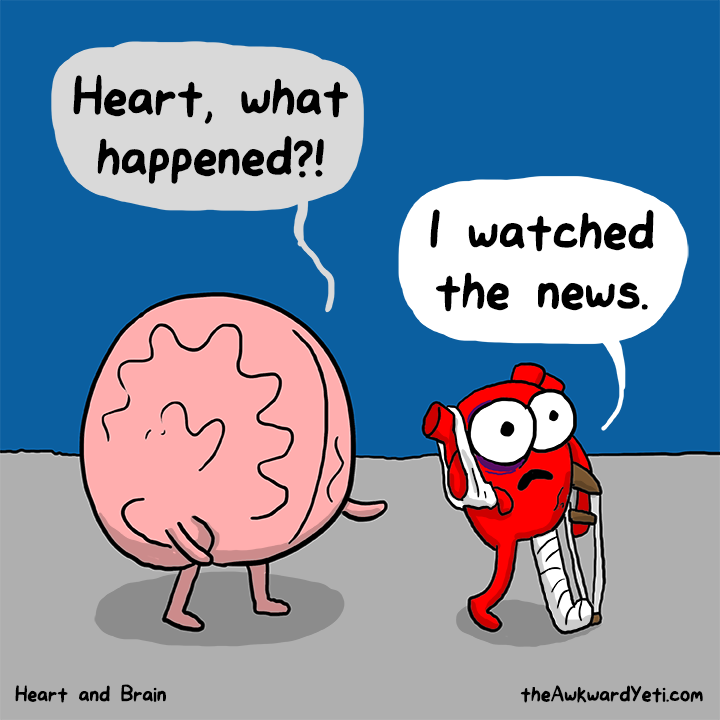 I reflected on my day, trying to figure out why it has been so full of severe highs and lows. Then I realised. All the high points had followed a snack. Because of the constant exercise, I never actually felt hungry, so my emotions were my body’s way of telling me it needed food. I knew this was true about myself. “Sorry for being hangry” is a common phrase in our family. But this was extreme. Lesson learned: not enough food = really bad mood. It’s been tough in parts, but I’ve had an amazing four days. I’ve always known the Gower was beautiful. I brag about it all the time. I’ve always felt very privileged to grow up so close to a treasure chest of stunning places. But I’d only really experienced its gems as individual beauties. On day trips it’s so easy to miss how it all fits together; the pines between the beaches and the hideaways between the highlights. Walking the whole way around, you see how the gems are arranged like an intricate necklace (with a matching bracelet). Between two bays I thought I knew, there’s wide, vibrant green paths along rugged shores. Great cliffs tower above you like weather-worn cathedrals and remind you how small you are. Eventually you’re turning corners and laughing at the absurdity of how stunning the scene is before you. 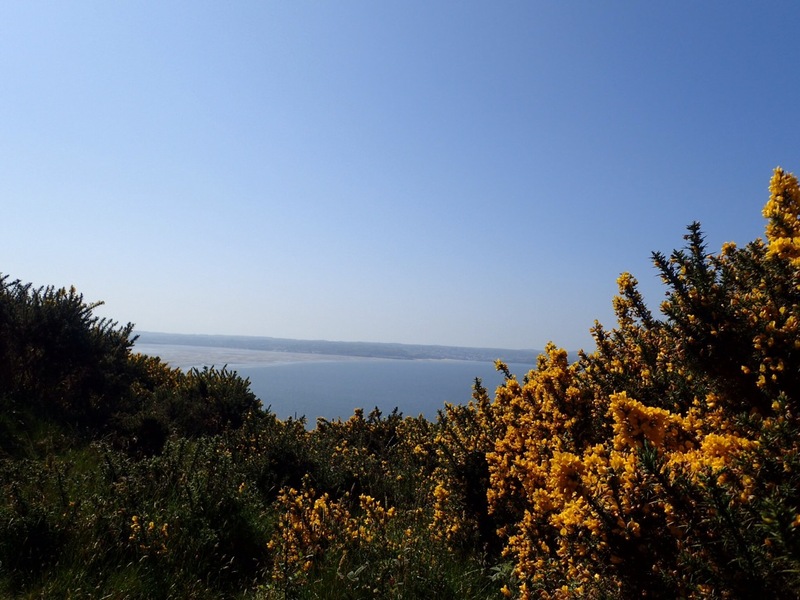 That impossible blue of the French Riviera against the impossible green of Ireland, with smatterings of gorse just to be different. Just to remind you where you are. Today’s been a rest day and a chance to take what I’ve learned the last few days and improve. I have some company for the restart which is wonderful, and I’m excited to get going. From here, everything is new. As it turns out, walking over 1,000 miles is going to be quite hard. The thought that this might make a difference in communities somewhere across the world is such a strengthening thought. If you haven’t seen my donation page, please do take a look. I write this curled in the woolliest blanket we own, with a belly full of Thai food from our family’s favourite restaurant. I spent my final evening hanging out with dad and watching Gladiator. It was a good film and not very conducive to writing, so this is likely to be a short read. My hands have been rubbed raw from stuffing things into bags to then stuff into a backpack, to stuff things around the stuff, only to pull it all out and rearrange again. But this week was a weird one. I finally got scared. There’s obvious fears; of being alone and all that comes with that. There’s the fear of all the things I don’t know, from directions to where I’ll pitch my tent the first night. And then there’s a strange and wonderful trepidation at the thought that after this walk, I may never be the same again. In my break from university, I’ve kept coming back to a verse from the Psalms; “He brought me out into a spacious place. He rescued me because he delighted in me.” (Psalm 18:19) This unplanned year out has been the greatest blessing, because it has given me time to breathe. Time for an uncluttered mind. Time for my faith and for asking my Saviour to show me who He is. One thing I’ve found in my faith journey is that the more you get to know of God, the more you want to know of Him. The more you hear His voice, the more you orientate your life so that you can hear Him more. And so the year of peace and quiet goes deeper; to silence and solitude. The year of hearing his whisper becomes following His voice into the wilderness. I believe that God is mighty and great, and when you meet Him, you are changed. All the anxieties are simply me not feeling ready. I had some wonderful friends come over a few days ago, both of them mountain leaders and Duke of Edinburgh assessors and both very qualified to pack a backpack. As we checked through my gear and made final notes, it became clear that I was pretty much ready to go. I didn’t feel ready. I felt afraid. That little quip put all my fears back in their place. Not feeling ready is okay. You don’t have to feel ready before you start. In fact, that’s rarely the way it works. You can never be completely ready for something that isn’t completely known. You just do what you can do, and go. So I’m going. Raring to go anyway? Absolutely. I have little to fear. I’m going for a really long walk. It says quite a lot about my choice of friends that I now find myself preparing to walk a thousand miles around the perimeter of Wales. Now I should say right off the bat: I’ve never been ‘the outdoorsy one’. I’m the one with outdoorsy friends. I like being warm and dry. I’m not very organized. I usually pack too much going anywhere. I’m pretty terrible at directions. Not to mention I’m a massive extrovert. In short, if you had to imagine a person that would take off for two months of solo walking in the wilderness with a backpack, it would not be me. The idea wouldn’t leave me alone, but at this point it was just an idea. Then my college got in touch (I have the best college at the best university in the world by the way, in my unbiased opinion). I’d applied for some money to try to make this thing happen, hoping to buy a backpack and shoes that wouldn’t leak. They gave me twice what I had asked for. And suddenly it became very possible. And very real. Not knowing anything is fine when it’s just a vague idea. It’s another thing when you’re pretty much committed. Welcome onto the scene the outdoorsy friends mentioned earlier, kind enough to point me in the direction of the nearest Cotswolds. I went in, had a chat with a girl called Mel and explained my situation, which was something along the lines of “I want to leave in a few weeks, can you help me get everything ready?” She arranged for me to come back one evening after the store closed and said we’d sort everything out then. 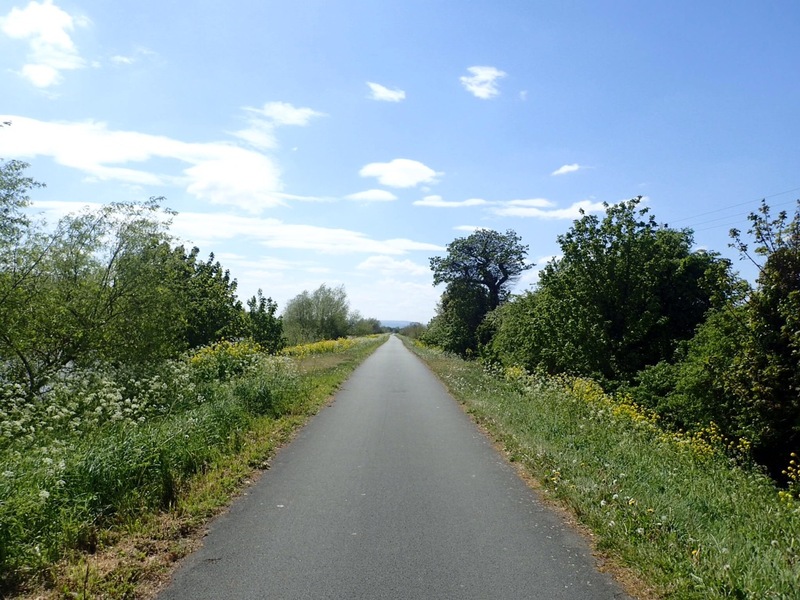 On Monday I got the train up to Carmarthen, and like everything at the moment, the beautiful scenery on that route got me so excited to get going. I spent the evening with Mel and Carrie at the Carmarthen store, and within a few hours I went from feeling totally unprepared to “I can do this and I can’t wait.” To be completely honest I was worried that they’d just try to sell me the most expensive gear and I’d leave overwhelmed and out of money. It was nothing like that. They were as concerned with the success of the trip as I was. They were honest about where the extra money is worth it, and where you can get away with spending less and still be fine. They didn’t mind spending ages finding boots and insoles to fit my awkwardly high-arched feet. 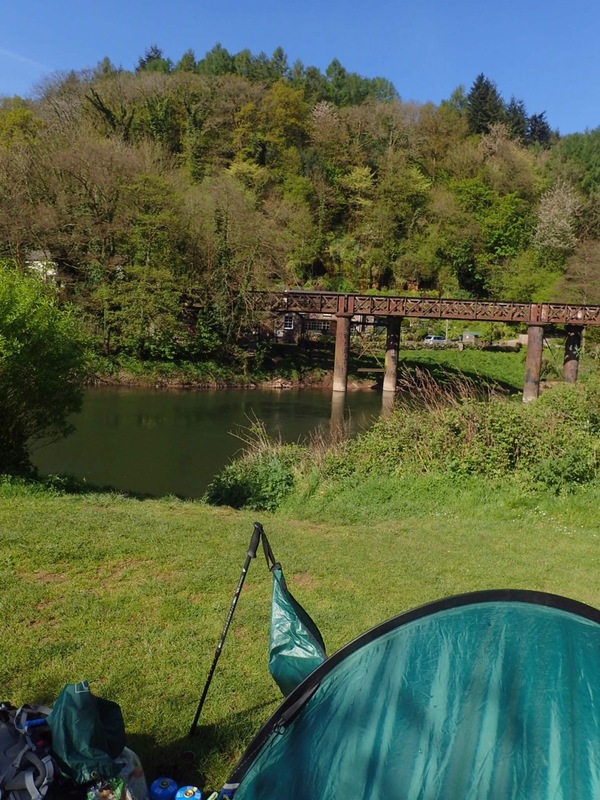 So, thanks to the fund from college and Cotswolds Carmarthen, I can set off with more than just a cagoule and a camping stove. The new kit is really exciting. Like, really exciting. I now see why people get so enamoured by new kit. But actually I came away from Monday night with more than just shiny kit. Mel and Carrie gave me so many insights and tid-bits of personal experience. Carrie even taught me my new favourite Welsh word; sofach. I think it means your ultimate comfort food or guilty pleasure (if you know a better way to translate it please enlighten me). Her point had been to make sure I have some with me. If you ’re miserable, eatsomething. You’re probably hungry. Put tomorrow’s clothes in the bottom of your sleeping bag, along with the water bottle the doubles as a hot water bottle (which I forgot to buy, but definitely will). Have as many accessible pockets as possible. Fill them with food. Save your mental breakdown for at least week three. So friends, there you have it. I’m planning on leaving for this adventure in about two weeks. I absolutely can’t wait. The best thing leading up to this point has been the way people have just jumped on board with the idea; asking if they can walk sections with me, offering places to stay, encouraging and praying for me, and asking what charity they should donate to. I’ve decided to use the trip to raise money for the Costa Foundation. They build schools in some of the poorest coffee growing communities in the world. And as someone whose pay-slip has been dependent on the coffee they produce for three years, it’s the least I can do. You can find out more here. There’ll be more on this sometime soon. If you, dear reader, would like to also get involved or stay updated, the follow button is below and has never been more appropriately named; you can get my blog posts straight to your inbox as I make my way round. Comments are more than welcome (particularly if you can translate sofach better than me) and you can follow me on the social media found below. Our eyes awake, Our hearts were torn Between our faith and what we knew Before our King was buried in the grave. We touched the scars upon your hands You kept your word, Son of Man You buried death by taking on the grave. Some things I learned from losing a camera: 1. To back up my photos. 2. That it's okay to persistently ask God for things that, in the grand scheme of things, don't seem to be important. For months I finished off my prayers with, "and Lord, I know you have bigger things to worry about, but please somehow bring me my camera". He loves to hear the desires of our heart. He loves to make his children smile. 3. That the parts of life that don't make it in to the highlights reel can be the most precious. Having my prettiest pictures saved on the gram didn't make up for losing the moments where I cried and didn't want to keep walking. I need to remember to catalogue and treasure the moments I don't necessarily like. 4. To back up my photos. btw. Got my camera back.